We understand that designing and developing websites is not always done in one room. It is a process stretched over time and geography. With zipBoard, web development collaboration is as easy as having a whiteboard on which you can overlay your project and review various aspects with collaborators, tracking bugs & issues online. zipBoard focuses on visual collaboration. This means that web development reviews need not function around long written mails and messages explaining issues and keeping track of problems. Isn’t it annoying when you have to first locate what does not work, then open your email, type out an explanation for what the problem is and then follow it up with all team members who are involved, keeping them up to date on developments? Seriously. It is that simple. All you need to get started with your website review on zipBoard is the URL. Ready to get your team on board? Simply click on the ‘+’ sign under ‘Collaborators’ on the right hand side and add team members either by name or by email address. Team members added as collaborators will be automatically notified when they have been invited to review a project on zipBoard. Now that the team is in place, it’s time to get on with the business end of web development collaboration and start tracking bugs &amp; issues. Capture screens as review boards and start annotating on them instantly. All the boards are organized on the right side panel, which can also be hidden for a more complete view of the page. With zipBoard you are not limited to what can be captured from the website. You can upload your own images or mocks to make website review more flexible. Images are uploaded as review boards and can be reviewed and compared with other boards to get the best perspective on what works for your project. Websites can be annotated on by selecting a tool that fits your review needs. Comment on specific issues, annotate on them with the arrow tool, capture them in a rectangle or encircle them with the pencil tool to get more free hand room. Annotations can be hidden, erased (however this is limited to the reviewer that created the annotation, the manager and the owner) and review boards can be zoomed in & out of.If you are giving a presentation to clients then you can even use the full screen presentation mode to keep the focus on the issues. If you are giving a presentation to clients then you can even use the full screen presentation mode to keep the focus on the issues. With the ease that zipBoard provides, issue and bug tracking on your website never gets overwhelming. With the collaboration features at your disposal, team members are always in sync with developments on the website. Issues can be assigned to team members and this generates an automatic notification to them. You can set the type, priority and status of issues logged in your project. But working in teams means that often more than one person will be attached to an issue. While only one person may be assigned to handle the issue, it would be terribly cumbersome to write separate messages to every team member that has to keep track of it. We understand that problem and have the solution. You can add watchers to issues which makes collaborators observers of the issue’s progress. Collaborators assigned as watchers on an issue are also notified instantly when changes are made. This means you don’t have to switch screens every time a team member has to be notified of updates. 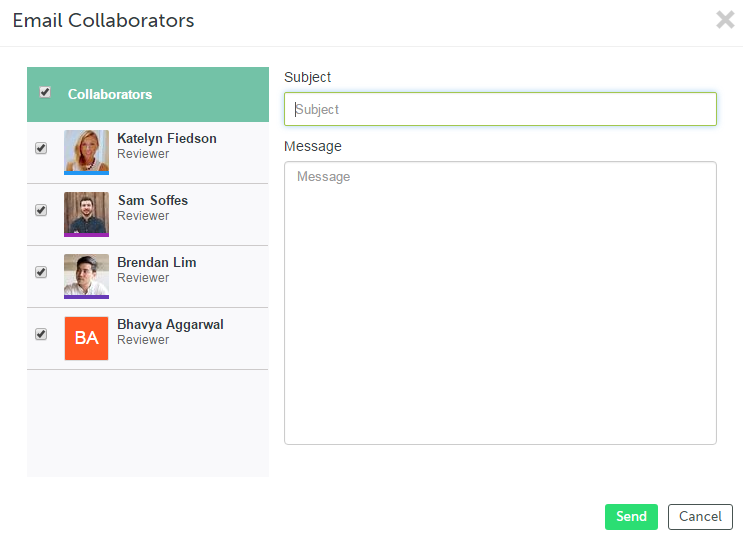 zipBoard handles web collaboration seamlessly. There are other ways to communicate with collaborators in zipBoard too. Use the project activity section to see developments on your website review as they happen. 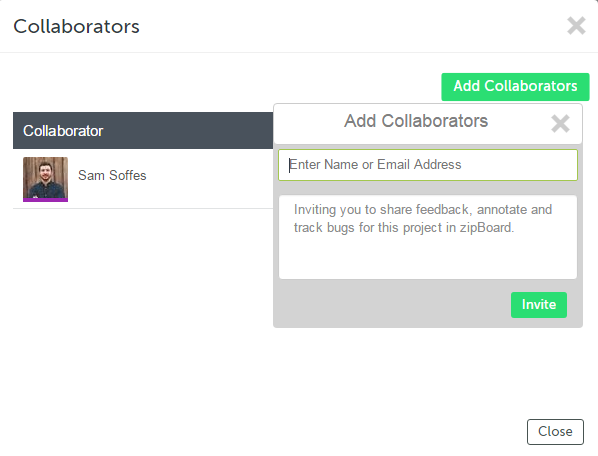 You can also have real time conversations with collaborators inside the zipBoard app. Use mentions to interact with team members from the project activity screen. Add the ‘@’ sign as prefix to a collaborator’s name to do this. You can add comments to issues too to make feedback more specific for your website collaboration. Need to send an urgent mail to your team members? Do it right from zipBoard. 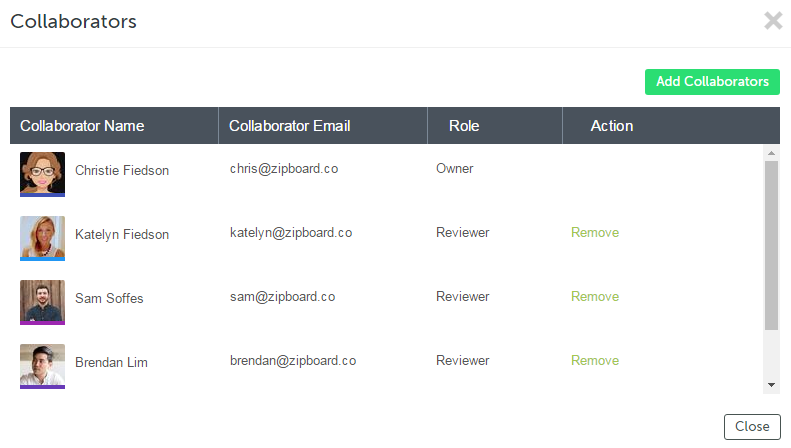 To keep things sorted with your team as work on your website review increases, zipBoard has tags that keeps things organized. Tags can be added at project level, task level or review board level and it all ties together in the task manager. All the issues can be tracked from the task manager screen. You can even search through the issues via various filters based on status, priority or assignee. You simply won’t lose track of your projects with zipBoard. zipBoard is the simplest website annotation and review tool for your collaboration needs. If you want to walk before you run, try zipBoard for free and see how you can built websites better and faster.